The pre-order goal for the Atari VCS console on crowdfunding website Indiegogo has already been eclipsed on the first day of the sale. The original flexible goal for the device was US$100,000, but the total amount had already reached US$1.76 million at the time of writing. Full specifications for the box have also been listed on its Indiegogo page. The team behind the development of the Atari VCS console will likely be cheering today. The device has already raised US$1.76 million in pre-orders, shattering the target of US$100,000. 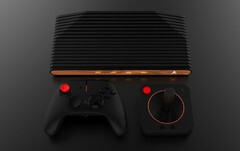 Several different versions of the console have been made available on the Indiegogo website for gamers wanting to reserve a unit: The Collector’s Edition with joystick can be pre-ordered for US$299; the Onyx version with a classic joystick will set you back US$229; the Onyx console on its own without a joystick can be reserved for US$199. The Atari VCS Day One Collector’s Edition features a wood front panel, unique number, and it comes with a certificate of authenticity. Interested gamers can also pick up a classic joystick for US$29 or splurge on a modern controller for US$49. Currently, there is a special offer where both peripherals can be pre-ordered together for a discounted price of US$59. The classic joystick closely resembles the beloved Atari 2600 controller but comes with some modern benefits, such as a reactive LED ring, Bluetooth and USB C connectivity, and PC/Android compatibility. In terms of technological specifications, the console will be powered by an AMD Bristol Ridge A1 CPU and will feature a Radeon R7 GPU. There will be 32 GB eMMC storage and 4 GB DDR4 RAM on-board. The Linux OS is based on Ubuntu and connectivity includes HDMI, Gigabit Ethernet, and four USB 3.0 ports. As for games, apparently there will be over 100 classic games pre-loaded onto the VCS console, and there are plans for new games to be made available by the time the box gets its official release. 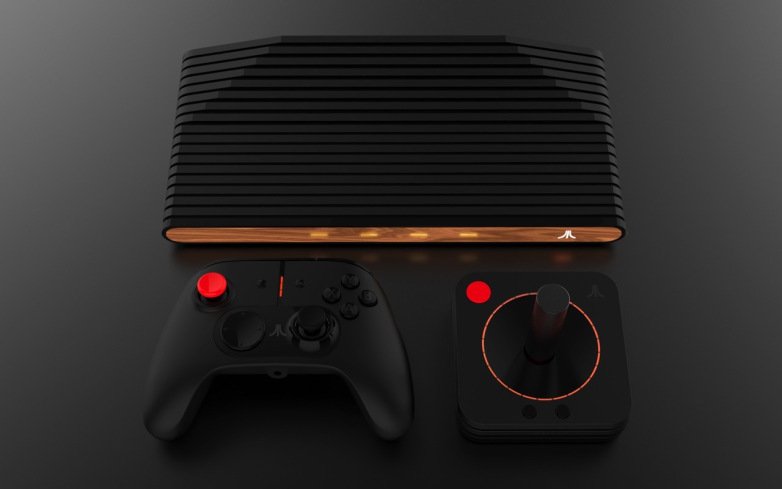 Shipping of the Atari VCS is scheduled to begin in spring 2019, and an estimated delivery date of July 2019 is given on the Indiegogo page. However, dates are subject to change.